It looks like the island is collapsing and it doesn't look like stopping anytime soon! 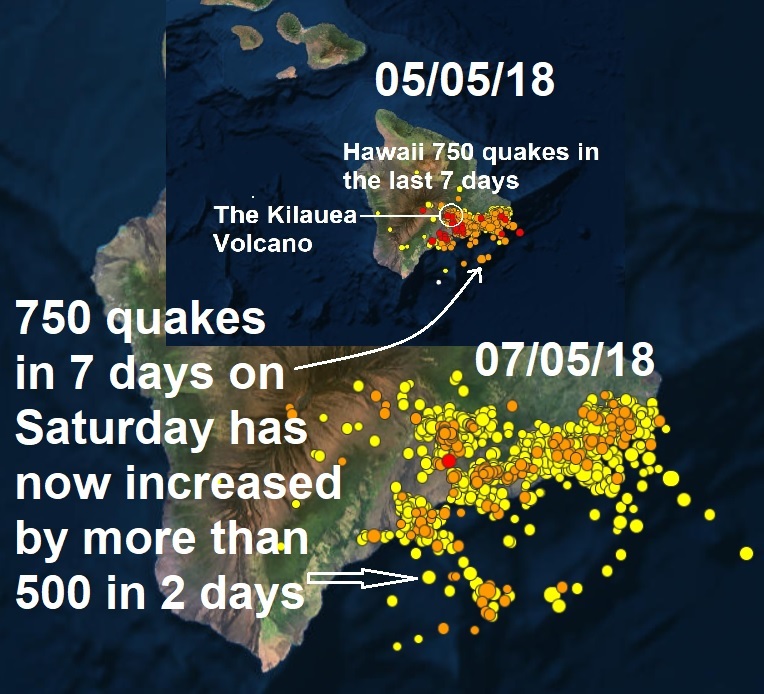 More than 500 quakes in the last 2 days after the mag 6.9 on the South Island of Hawaii is showing the tremors are increasing at an alarming level. 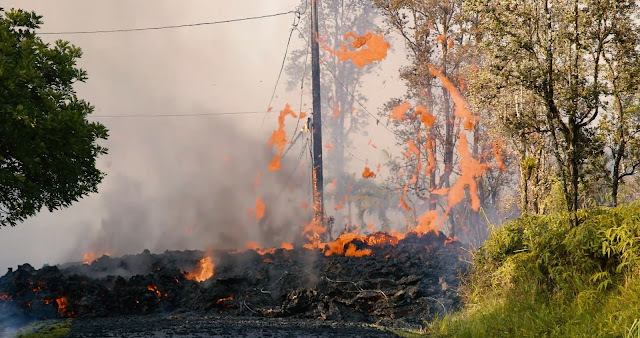 The U.S. Geological Survey (USGS) said on Saturday that several new lava fissures had opened in the Leilani Estates subdivision of Puna District, about a dozen miles (19 km) from the volcano. Lava erupting from Hawaii's powerful Kilauea volcano has now destroyed at least 26 homes, more than double the previous figure, officials announced Sunday, citing grim findings from an aerial survey by the fire department. Scientists reported lava spewing more than 200 feet into the air. More than 1,700 people have evacuated, and some said they may have to stay away from their homes for a long time. There was no initial word of anybody injured. Earlier in the day, officials had said the lava destroyed nine homes. Big Island civil defence officials also said Sunday that two new fissures, or vents where lava has broken through the ground, have emerged in the Leilani Estates subdivision. "There's more magma in the system to erupt. As long as that supply is there, the eruption will continue," U.S. Geological Survey volcanologist Wendy Stovall said. As many as 10 fissures have opened up since the eruption started late Thursday afternoon, scientists said, adding that one of those vents has gone dormant. Among the people whose homes were destroyed: an elementary school teacher and single mother of two. The woman, Amber Makuakane, told The Associated Press her three-bedroom house was right across from a fissure that had opened Friday. She says there was some steam rising from all parts of the yard initially but everything looked fine. She also said she knew the volcano's risks, but wanted to stay close to her family. Her children's ages are 6 and 4. A fellow teacher started a fundraising page to help Makuakane and her family rebuild. Some people who evacuated will be allowed to return to pick up pets, medicine and vital documents, officials said.